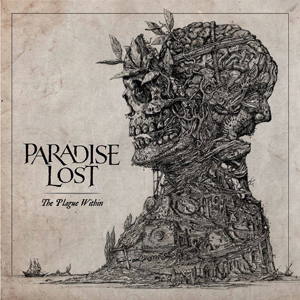 Just before heading out to sea as part of the 2016 installment of the 70000 Tons Of Metal cruise, British goth-metal pioneers PARADISE LOST have premiered a brand new video for the track “Terminal”, which is taken from their latest Century Media release, The Plague Within. The video was produced and directed by Oliver Barth for visions-in-fear.de and filmed at a special fan event at the Forum, in Bielefeld, Germany on August 17th, 2015. Cruise goers will be treated to not one, but two sets from the band and as a special bonus, attendees will also see both Greg and Nick perform two additional sets with VALLENFYRE and BLOODBATH!! PARADISE LOST will be returning stateside in May to make an appearance at Maryland Deathfest XIV alongside label mates THE HAUNTED as well as many other amazing acts. Also, don’t forget to check out the recently released live album, Symphony For The Lost. This release captures PARADISE LOST performing at the epic Ancient Roman Theatre of Philippopolis in Plovdiv, Bulgaria, and also features the Orchestra of State Opera Plovdiv and Rodna Pesen Choir. Symphony For The Lost is presented in either a 2CD+DVD or 2LP+DVD package and is a true “must have” item for any fan of PARADISE LOST. To order your copy today, head over to CMDistro HERE. The Plague Within marks PARADISE LOST’s 14th full-length opus and was celebrated worldwide throughout 2015 by achieving top-ten and year end lists in Germany, North America and Finland as well as chart entries in Austria, Belgium, The Netherlands, France, Japan, Portugal, Spain, Sweden, Switzerland, and their native UK.